Statistics show that over 200,000 people are diagnosed with end-stage kidney failure every year in India. While about 70-80% begin dialysis, the expenses of the treatment and the lack of finances force over 60% of this population to stop treatment halfway, leading to inevitable fatalities. 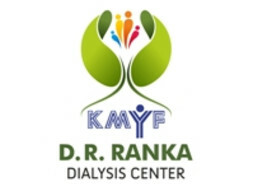 In an attempt to address this and make a difference, the KMYF DR Ranka Dialysis center was started in 2016 in Bangalore with the aim of providing quality dialysis treatment and care to individuals that are economically disadvantaged. While each dialysis costs INR 1400 (~ USD 20), the center provides these treatments at a subsidized cost of INR 400 (~USD 5). Currently, there are over 90 sessions of dialysis that take place in a day. The center has managed to conduct over 30,000 dialyses with the help and support of the community. The center was very close to my grandfather’s heart as he was the driving force behind making this happen – right from contributing the land and financing the construction to taking care of all the requirements that came along with setting this center up. I have never seen a person who had as much grit and zeal as him. Having lost him a couple of months ago, I cannot think of a better way to celebrate my birthday than by honouring his work and helping those in need. I would like to be able to raise enough money to sponsor all dialyses at the center for a day. Any contributions will be greatly appreciated! I am extremely grateful to each one of you for your kind contribution to this tiny campaign. As we have reached the required goal amount, the fundraiser will be closed soon. All your donations will be used to fund the dialysis of atleast 110 patients who are in need of dialysis.